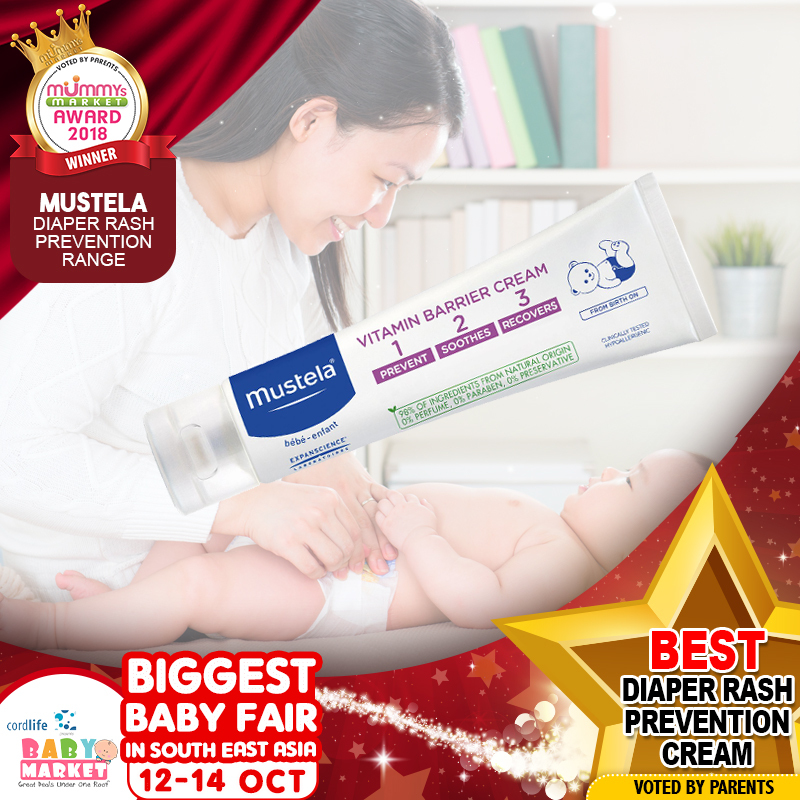 Prevent and treat diaper rash with the bestselling Vitamin Barrier Cream! Thanks to its exclusive complex of patented natural ingredients: Avocado Perseose®, Oxeoline of Alcacea and Sunflower Oil Distillate, Mustela Vitamin Barrier Cream is not only safe, but beneficial in protecting baby’s delicate skin. It guarantees triple efficacy – prevent, soothe and recover – by acting on skin discomfort in the diaper area in all circumstances, even during periods of diarrhea and teething. Formulated using 98% ingredients of natural origin that are fragrance-free and do not contain preservatives, it guarantees maximum tolerance right from birth.